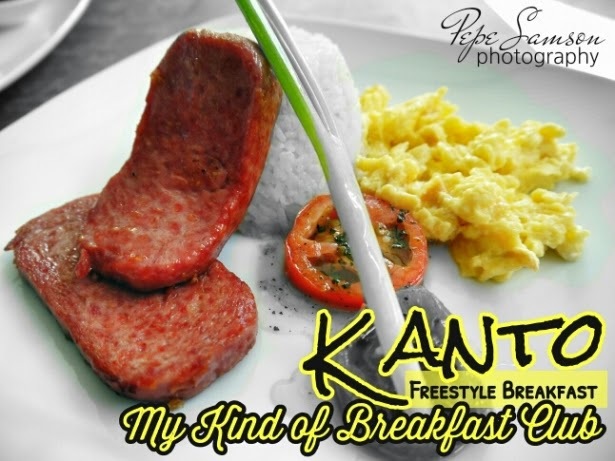 Gluttons like me now have more reasons to rejoice as Kanto Freestyle Breakfast has opened in Kapitolyo! 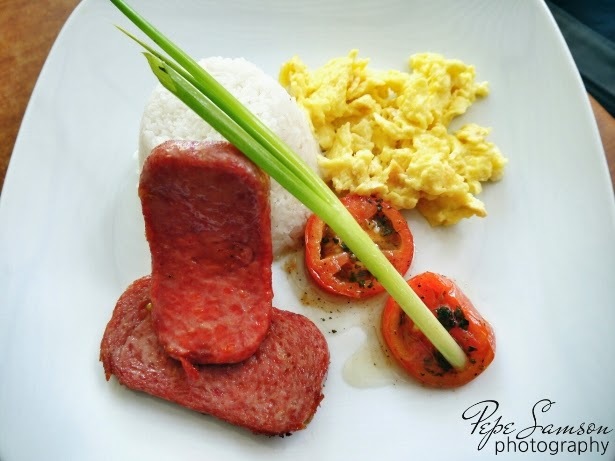 Kanto, which humbly started as a carinderia in Plainview, Mandaluyong, serves up cheap gourmet breakfast 24/7 -- they transform your ordinary tapsilog into something beautifully plated and incredibly delicious and maintains a price tag that won’t burn a hole in your pocket! If you’re a dancer like I am, you can definitely relate with the ever-present midnight (and beyond-midnight) pangs of hunger. I know that binging out very late at night is a very unhealthy thing to do, but if you dance almost every day for three or four hours after a nine-hour job, you’d do it too. However not many decent establishments are still open at such an unearthly time, so Kanto’s Kapitolyo branch is very convenient for me, as I frequently stay in my dancer friends’ house near Philsports in Pasig—especially after a night of rigorous practice. 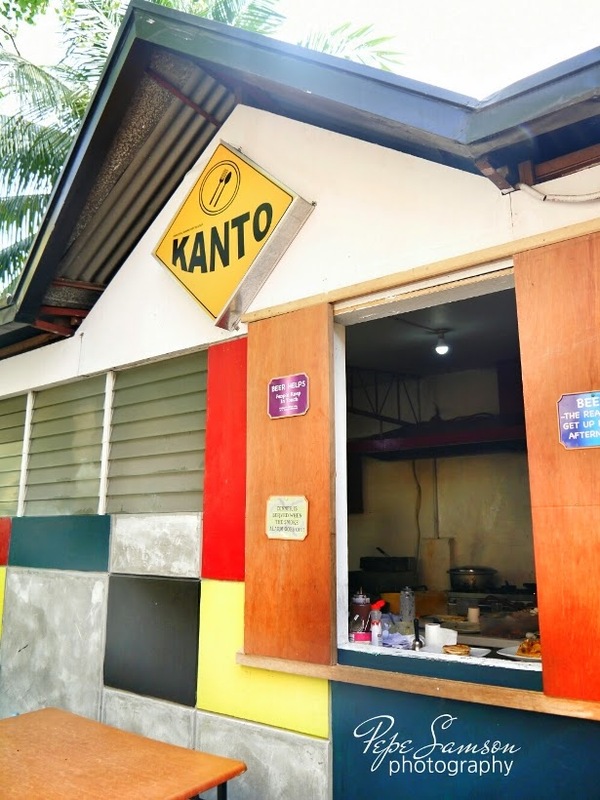 Whether you’re a resident nearby craving for a good breakfast, a student out for lunch, or a night person looking for a substantial meal, Kanto Freestyle Breakfast can solve your woes. 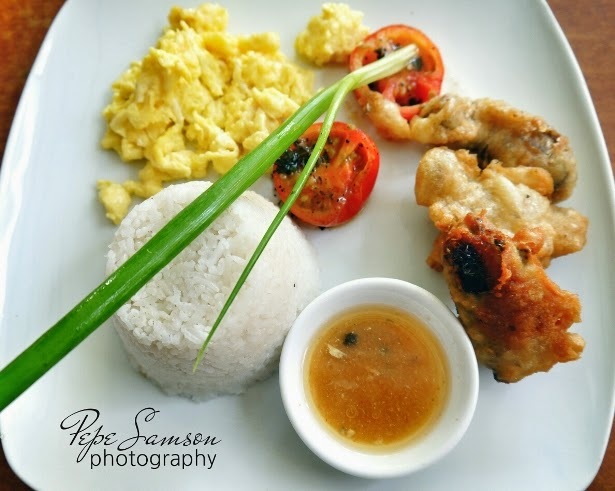 Choose from their Kanto Boy Breakfast sets, which all come with a viand, plain rice, tomato pesto, and two eggs cooked to your preference—all for 90 to 95 pesos. 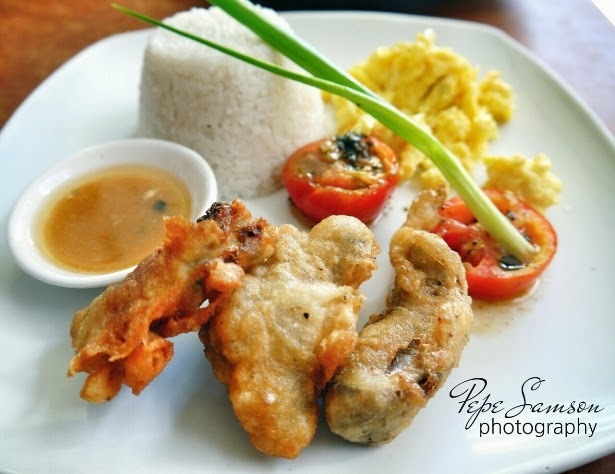 Non-breakfast items such as Honey Garlic Chicken and Crispy Pork Belly are also available, as well as sweets like pancakes and French toasts. I wanted to try their Eggs Benedict but it wasn’t available that day—dashing my hopes of sampling my first-ever kanto-style Benny. What I got instead was the Spanish Sardines Tempura Breakfast set: spicy canned sardines in a light and crispy batter, its sauce served on the side (which I mistook for vinegar of some sort, until my friend Nigel pointed out what it actually was). Never have I thought of making sardines tempura-style—not even at home—so kudos to Kanto for their ingenuity. It was pretty tasty too! I love the clean plating and the refreshing tomato pesto. Truth be told, this dish would cost only around P50-P60 in other neighborhood carinderia, but for the presentation and taste I would gladly pay the extra thirty. The Crispy Pork Belly is another excellent choice. 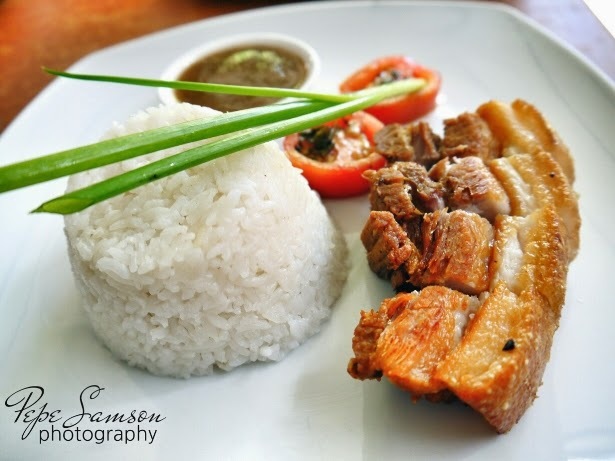 Who could resist this Pinoy favorite—the deep-fried layers of meat and fat dipped into vinegar, lechon sauce, Mang Tomas, or any other sauce of your choice. It’s enough to make anyone drool! A bestseller, among healthy kids and hypertensive folks alike! There’s something inexplicably addicting about SPAM, and Kanto certainly understands this and tolerates your obsession. A meal of SPAM and Eggs is perfect not just for breakfast but for any time of day! 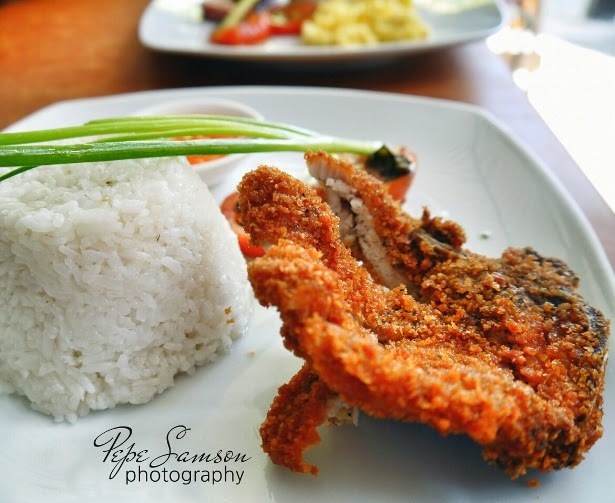 This Breaded Porkchop reminded me of high school days, when we used to run to the nearest Mama Leng’s during lunch break. Served with sweet chili sauce and tomato pesto, it is a pretty satisfying meal; make sure you order extra rice. 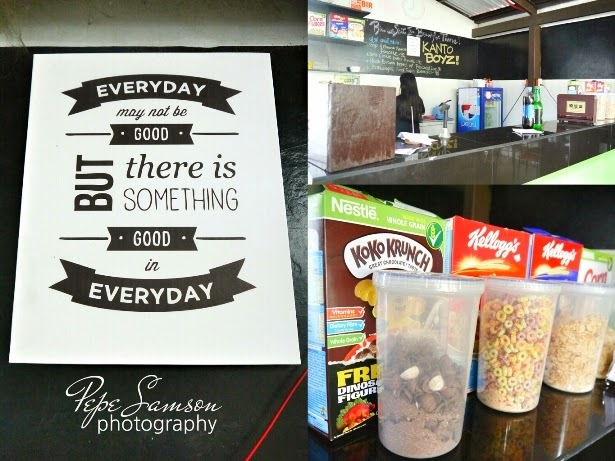 When I found out that they serve Scramble, I nearly jumped out of my seat. I haven’t had Scramble for years! Come to think of it, perhaps the last time I had some was back in elementary! 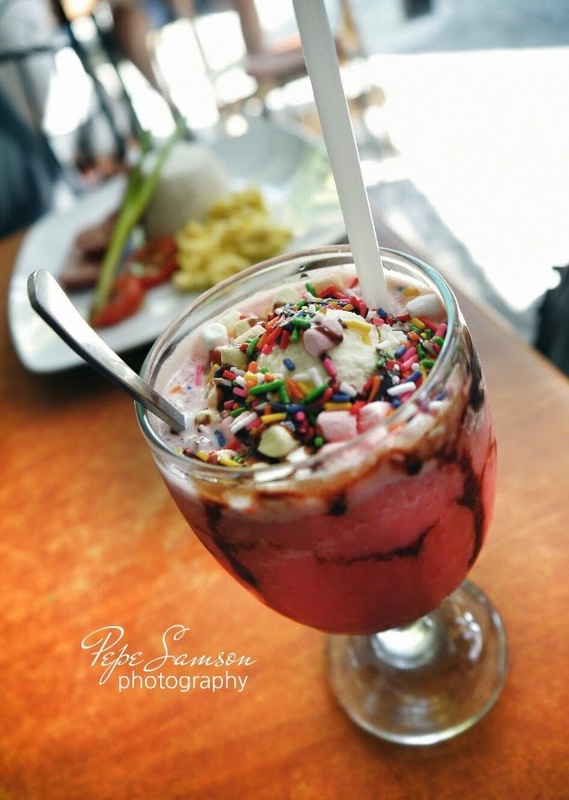 Kanto definitely brought me back to my childhood as I sipped on this classic Pinoy drink of crushed ice, evaporated milk, sugar, powdered milk, chocolate syrup, marshmallows, and candy sprinkles! 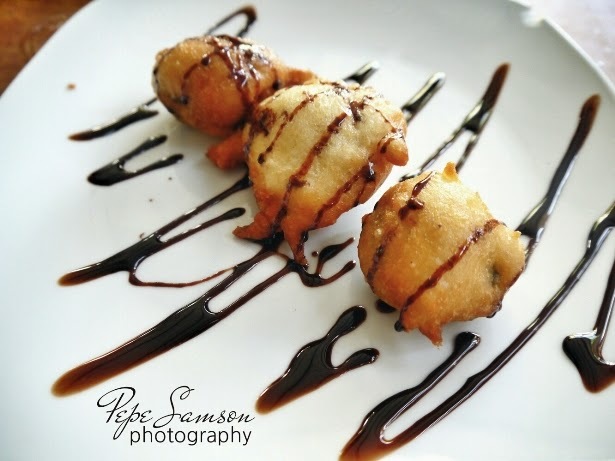 Before going, we decided to try their Deep-Fried Oreos. Nothing fancy, just some cookies wrapped in what seemed to be crumbs and then fried. The Oreos were still almost whole and I found the chocolate drizzle to be too sweet—I’ve tasted better versions. 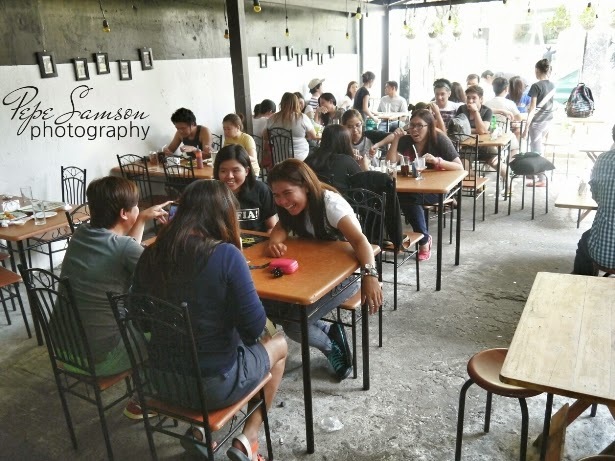 We stayed on and chatted for quite a while after eating because the ambience was just so relaxing: a no-fuss atmosphere, with Eraserheads music, the city buzz, and excited chatter in the background. Definitely my type of place to chill after a long day of work, or practice—and minus the alcohol! I can’t deny though that the serving time is something that needs—drastically—to improve. I think we waited for almost fifteen minutes for our orders. With almost everything fried, I’m not sure why it should take that long. I do hope they improve on this aspect (maybe buy an extra stove? pan? add one more cook? LOL) although I must say, it was worth the wait. 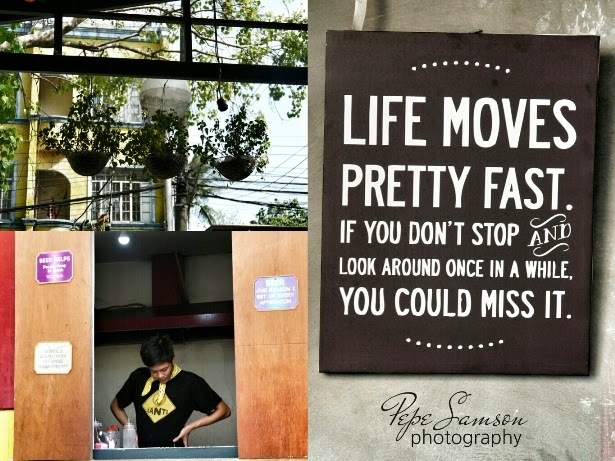 I’ve heard that the original branch in Mandaluyong is more chaotic that this one in terms of the surroundings, since you literally had to eat on the sidewalk, with askals, pusakals, langaw and all, as well as the stench of nearby waterways. I don’t really mind eating in such places (as long as nobody mugs me or demands for my cellphone) but I’m glad Kapitolyo had an actual dining area—which was a converted garage. A quick warning to the picky foodies though: if your love for food is limited to "real" restaurants and fine dining, and you’re expecting excellent service, air-conditioning, and insect absence (no, there were no cockroaches in sight in case you’re curious), this place is NOT FOR YOU. 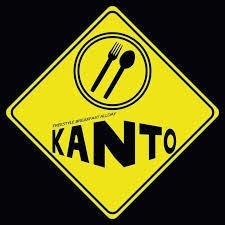 Kanto is reserved for the student on a tight budget, for the employee looking for a cheaper alternative to his usual fast food fare, for the ravenous athlete who just came out of training, for a group of friends just eager to enjoy a simple but sumptuous meal, for the apartment-dweller too lazy to cook his own meal, for the casual passerby who just got curious why this garage is chock-full. No, your authentic-Eggs-Benny-seeking mouth is not welcome here. Where is your favorite breakfast place?